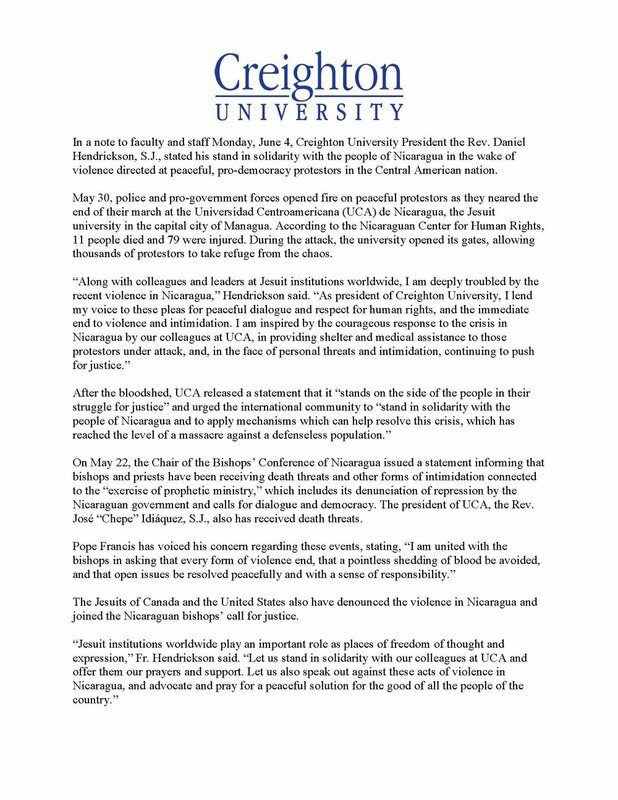 We continue to monitor the ongoing situation in Nicaragua, where churches are now under siege as the death toll rises. 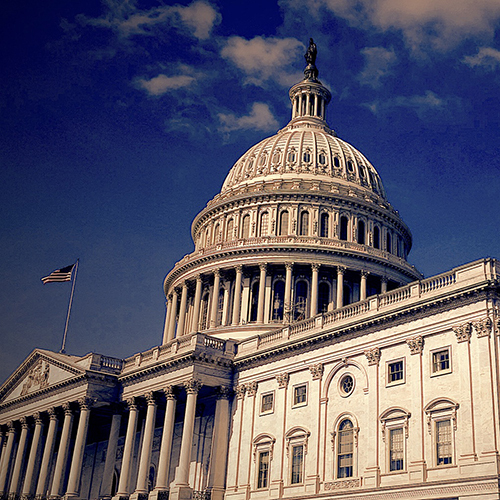 We ask that you contact your members of Congress (Senators, Representatives) to urge for support from the U.S. government, to help resolve what is now a humanitarian crisis. 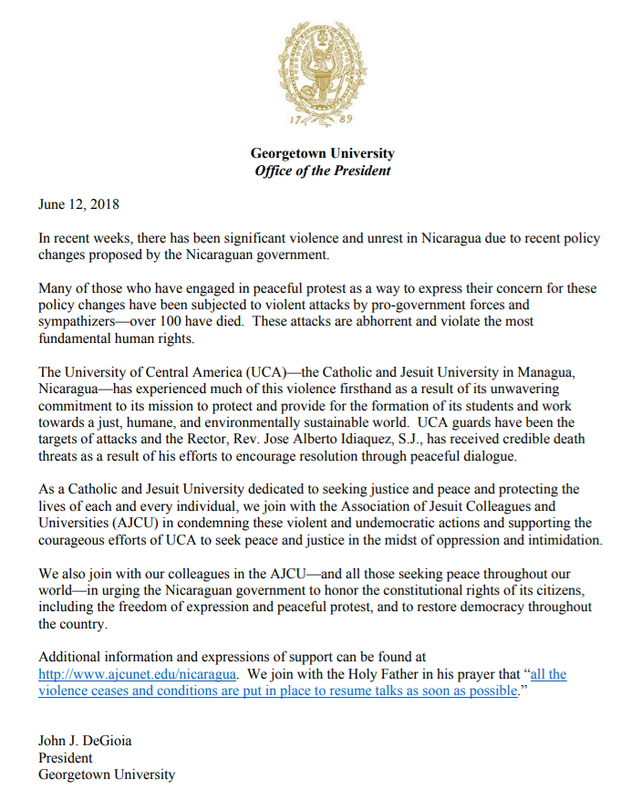 The University of Central America (UCA) in Nicaragua has been embroiled in political unrest since April 2018. 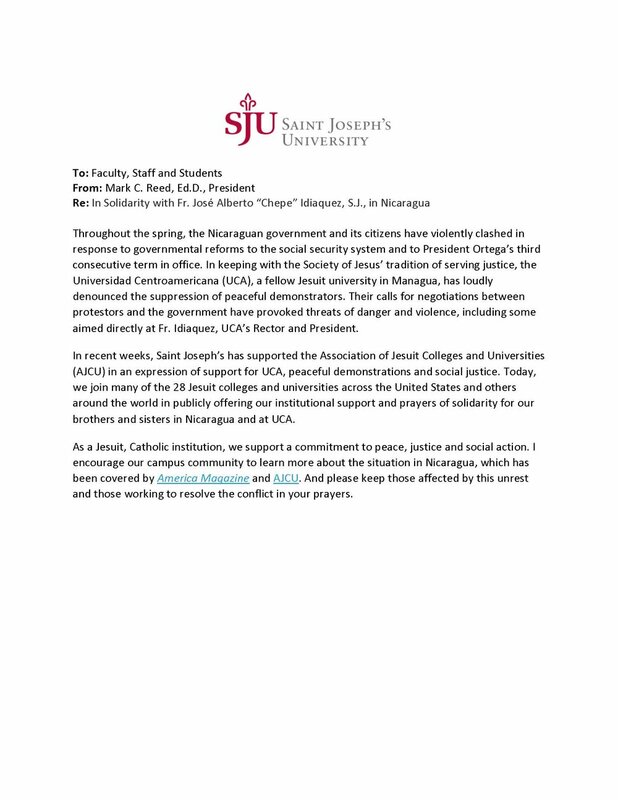 The Association of Jesuit Colleges and Universities (AJCU) continues to stand in solidarity with the UCA, a member of the Association of Jesuit Colleges and Universities in Latin America (AUSJAL), and will continue to offer our support on behalf of our member institutions (click here for AJCU's statement on April 24th). 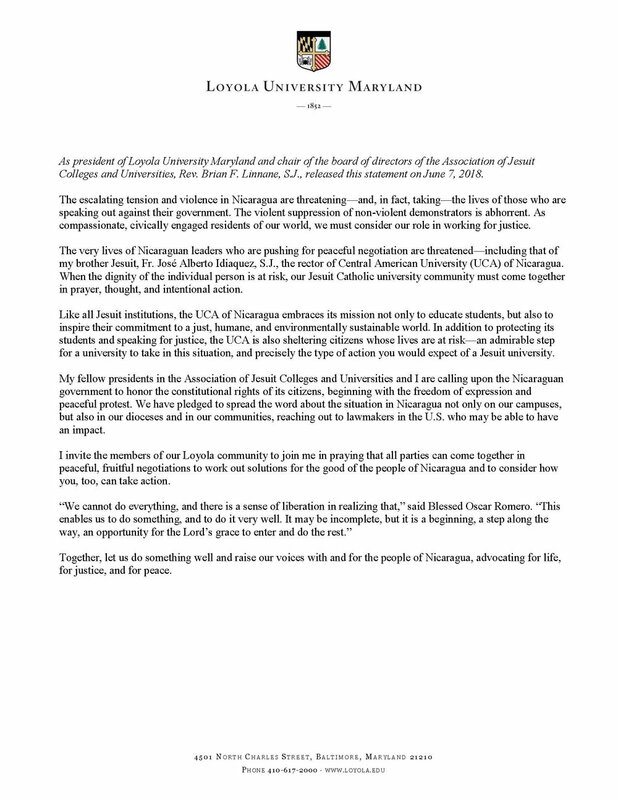 To learn more about the ongoing situation in Nicaragua, please click on the images and links below to statements, articles, reports and helpful accounts to follow on Twitter. This page is regularly updated. Please send any suggestions or additional links to Deanna Howes Spiro, AJCU's director of communications: dhowes@ajcunet.edu. 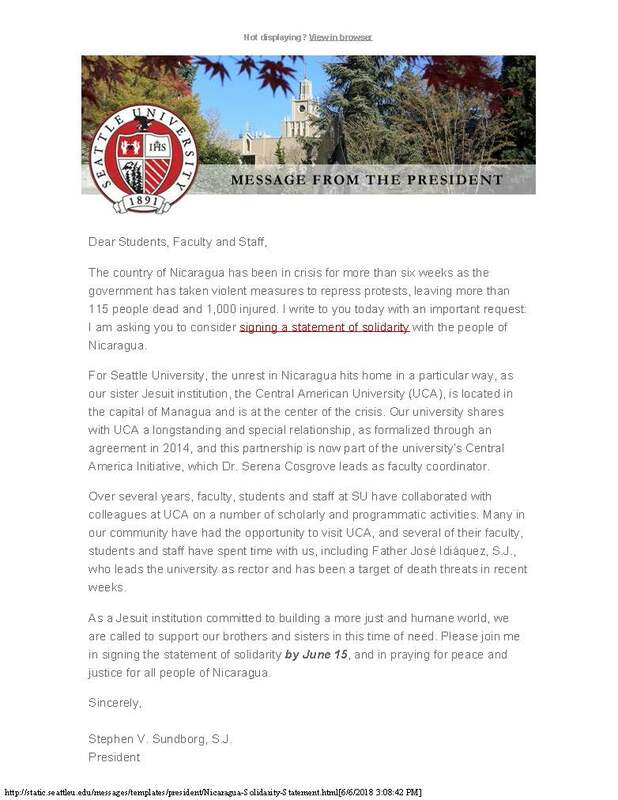 AJCU is sharing an appeal for donations to scholarships that will help support students at the University of Central America (UCA) in Managua, Nicaragua. 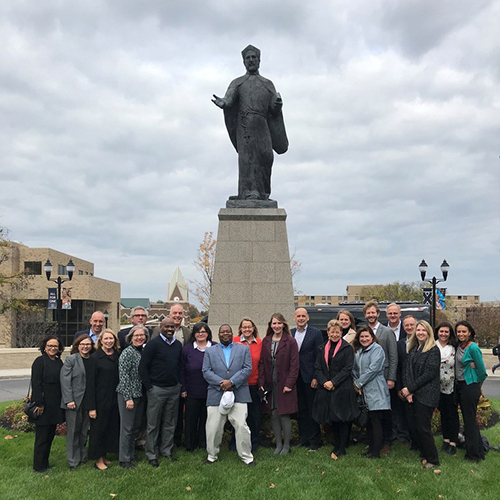 This effort has been coordinated by Seattle University (which has a longstanding partnership with the UCA) and the Jesuits Central and Southern Province (UCS). 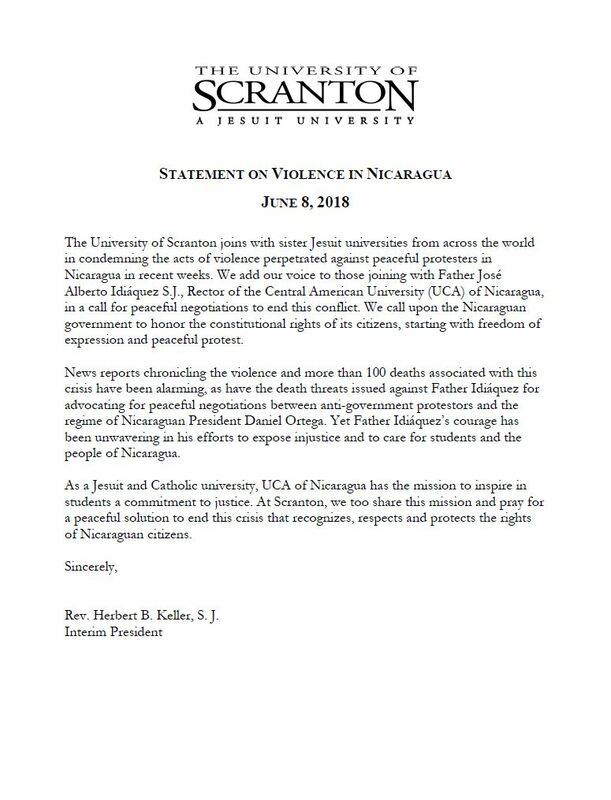 Details can be found in this letter from Rev. Stephen Sundborg, S.J., president of Seattle U, along with a link to a website where you can make individual donations to the UCA for scholarships. For additional information, please visit peacewinds.org, maintained by the Winds of Peace Foundation.